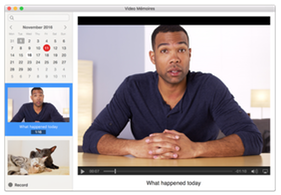 Version 2.0 of the easiest video diary app for Mac. 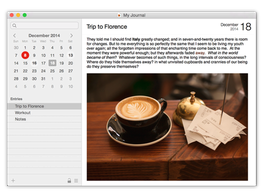 Keep a journal or diary on your Mac. Keep a video diary on your Mac. Receive tips and hints, latest product news, and secret subscribers-only stuff. Youâ€™ll love it! We won't spam you, and you can unsubscribe at any time.